Yoga refreshes your mind and spirit. Tones your body. Keeps your internal organs and hormonal system in balance. All the more reason for people of all ages to do yoga. 1. Can seniors (above 60 years) do yoga? It is possible for people of all ages and all walks of life to benefit from the various techniques that yoga offers. 2. What is the best kind of yoga for seniors? There is a range of standing, sitting, lying down and chair yoga for you to choose from in this article enjoy some examples that may be of benefit. Always consult your health care professional before starting exercise and new activities. Hip problems are routine among seniors. Trikonasana helps strengthen and stretch the hip region. It helps regulate blood pressure, a common complaint amongst the elderly. Helps to keep the spine straight, preventing slouching. Helps strengthen the arm and leg muscles, ensuring that seniors are firm on their feet. Helps clear bowel movements, thus regulating digestion. Stretches the thighs and knees, reducing joint stiffness and pain. Relaxes the back, helping to relieve backaches. Makes the spine flexible, reducing the stiffness that comes with age. Massages the digestive organs and improves digestion. You may do body rotations, if possible. Improves blood circulation that weakens with age. 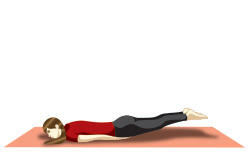 Tones the neck and back muscles, increasing flexibility. Tones the abdominal organs, improving digestion. Releases flatulence, a common digestive issue among seniors. Increases blood circulation to the hip joints, releasing tension in the area. 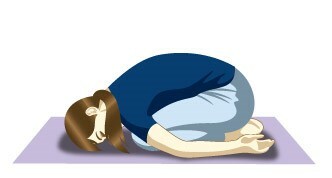 Seniors and office-goers may find these poses convenient, as these can be done while sitting on a chair. Chair yoga relaxes the neck and back muscles, releasing stress from the body. Helps alleviate body pain, tension, and fatigue. Can increase flexibility, enabling seniors to bend and reach the toes. Helps coordinate body movements and improves a sense of balance. 4. How does yoga for seniors differ from general yoga? The difference lies in the effort and time spent in a posture, and the flexibility involved. If you have high endurance levels, you will be able to perform the cardiovascular movements and abdominal exercises to satisfaction. 5. What are the different benefits of yoga for seniors? One of the best things about yoga for seniors is the chance to mingle and bond with others. This priceless addition keeps the mind engaged and happy. Alleviating depression and loneliness. Enjoy your yoga at any age. Just keep some guidelines in mind. 7. What precautions should seniors take? Substitute warm-ups with brisk walking and joint movements. 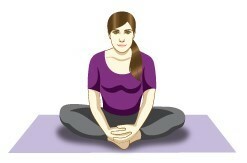 Practice yoga under a trained yoga teacher and discuss your ailments with him/her. 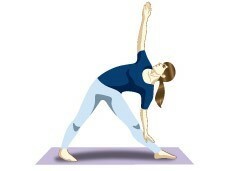 Focus on repeating poses rather than holding any posture. Rest adequately after each pose. Make sure that your body has adjusted to your daily yoga routine before trying out new asanas.